Death is a very sacred experience. And in my opinion, it is generally a very personal experience. I think of the death experience much like I consider birth. It is so sacred, and so unique, and so heavenly that words cannot adequately describe it. The births of my children brought feelings I had never before known. They branded into my heart a firm testimony of the sanctity of life, Divine origin, and pure innocence. Except for the birth of one of my daughters in a teaching hospital where there was a plethora of residents, our experiences were shared only as husband and wife, with quiet doctors and nurses attending to the physical needs of our baby and me. Those births were so sacred that they created a stronger bond between us (the baby’s parents) and an instantaneous bond with our child, all the while strengthening our connection with Heavenly Father. This is how I think death is for most people. An individual sacred experience, sometimes shared with very close loved ones, and sometimes accompanied by medical professionals to assist. So it is very precious to me that my mother welcomed some, including myself, to be a part of her personal death experience. My gratitude also goes to my father who equally shared their experience as my mother exited mortality.It’s been over two years since my mother’s passing, yet what I learned, what I felt, and how I grew is still so poignant. The Three-Cornered Blanket is fun children's story with a lesson. Della and Abby are Best Friends Forever, but more importantly they are sisters who love each other. When an argument interrupts their tranquility, they must learn a valuable life's lesson. Verses of scripture are like power-packed vitamins. We daily feast on the scriptures as a whole . 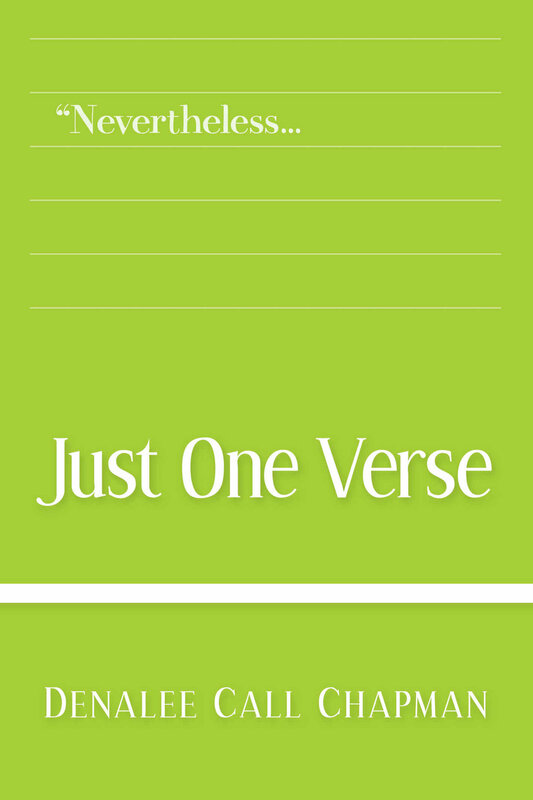 . . but when we take just one verse and truly treasure it, our spirits are nourished in a way that will sustain us, help us grow, and keep us firmly on our paths of progression. In this, volume II of Just One Verse, we explore the treasures found in The Book of Mormon, Mosiah 25:10. My hope is that as you read my insights you will be inspired with your own. This book is a peek into the impact that a single verse of scripture has had on me. It is my hope that through reading Just One Verse the infectious joy of treasuring up the Lord’s word will permeate your soul, and you will be prompted, as I have, to examine individual verses of scripture and discover the personal meaning the Lord intends for you to find. YOLO: You Only Live Once! We really only live once on this earth. Life is made up of moments, each of which cannot be reclaimed. The moment comes, and then the moment is gone. We use it – or we lose it. How are we living our moments? Do we remember YOLO? Eve and Esther understood YOLO. They truly lived the moments of their lives in mortality. What characteristics did Eve and Esther share that made them women to be emulated? How can we become more like Eve and Esther? Our lives are made up of years; years made of days; and days made up of moments. Living in the moment is a choice. Living joyfully no matter what the moments bring, is an attribute that can be cultivated and a gift of the Spirit. Living in the present and being joyful shows gratitude to our Heavenly Father for the gift of mortality. And it makes our mortal adventure so much more enjoyable and properly memorable. If we are intentional about our time, the day will come when we will feel fulfilled and satisfied because we savored our moments. YOLO. "That night, alone in my bedroom, I pictured myself digressing. I could see myself in a wheel chair, unable to really care for myself. All the worst possible scenarios came into my mind, and I broke down... I called my parents, calmly told them what was going on, and then I fell apart. All I could say, through my sobs was, "I don't want to have MS," My parents comforted me as only parents can. When I hung up I fell to my knees and prayed for peace... I knew I could and would learn and grow from this; but I also drew strength from the fact that through my experience others could learn and grow. And I absolutely believe this is a true fact for any trial that anyone is experiencing. Our lives on this earth are so interconnected. We are who we are not just because of what we are striving to do, but also because of those we associate with, those we are close to, and even those who brush past our lives only for a moment." 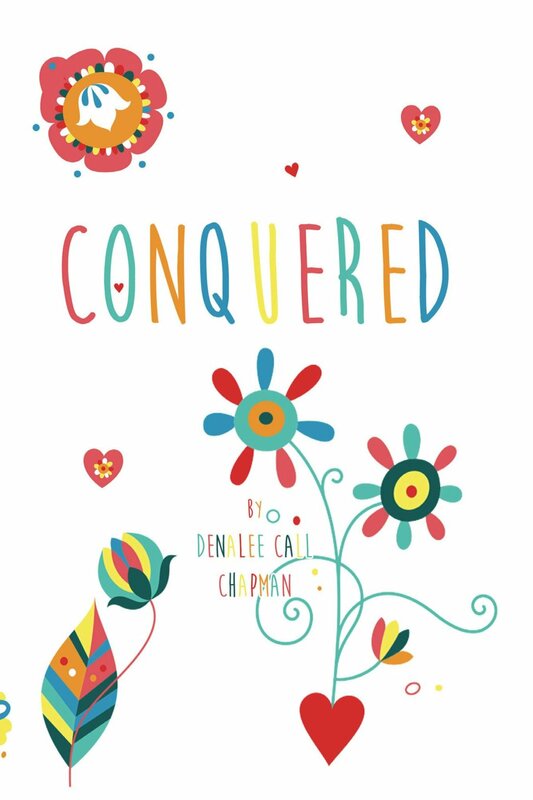 CONQUERED is the experience of one person's shocking diagnosis and subsequent healing from an "incurable," debilitating disease. Covering diet, stress, physical exercise, the power of the mind, and spirituality, CONQUERED takes us through steps leading to her miraculous healing. Universal to all, whether physically diseased or whole, this book is an inspirational and practical guidebook to feeling well and being well.